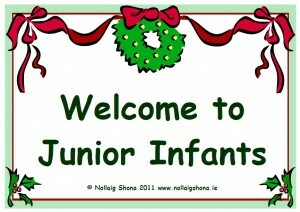 Decorative seasonal sign for the classroom door with carol singers in a town setting. 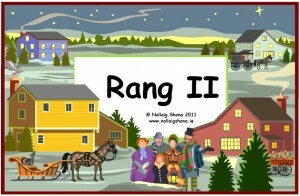 Each sign simply has the name of the class on it. 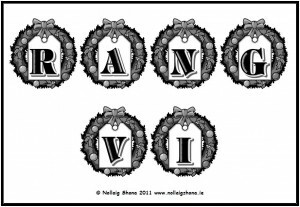 Decorative seasonal sign for the classroom door with a holly border. 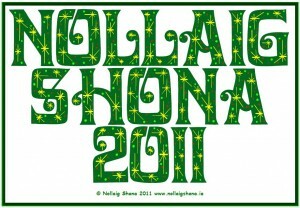 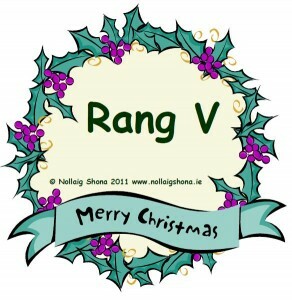 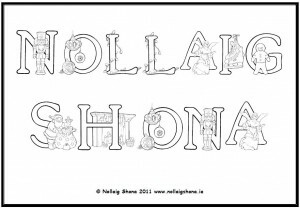 The sign for the infant classes says “Welcome to …” while the sign for Rang I – Rang VI says “Fáilte go ….”.